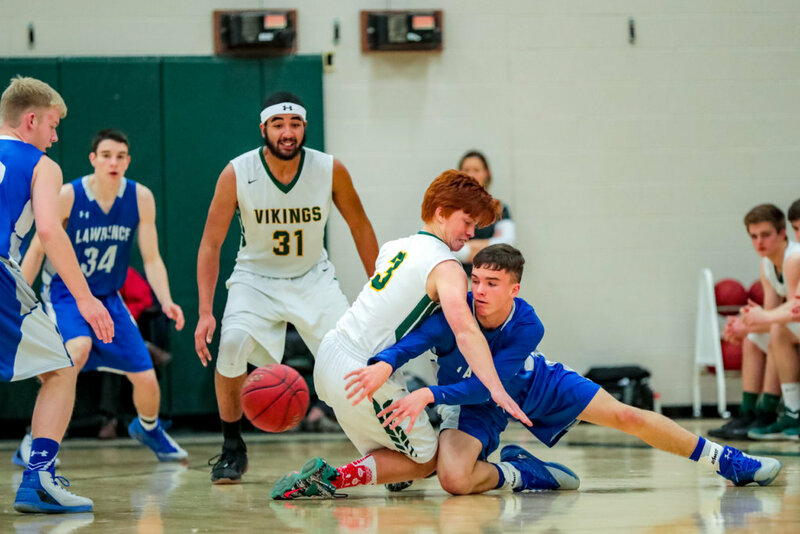 PARIS — Oxford Hills jumped out to a nine-point advantage in the first quarter and hung on to record a 48-41 early season boys’ basketball win over Lawrence on Wednesday. 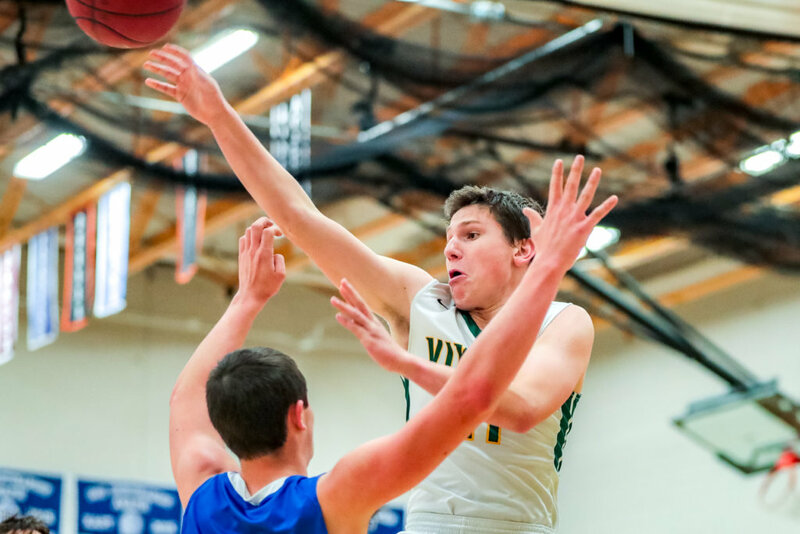 Colton Carson led the Vikings (1-2) with 11 points and 14 rebounds, while Chris St. Pierre chipped in with 11 points. The Bulldogs (2-2) were paced by Nick Robertson with a solid 15-point effort, while Isiah Schooler tallied seven and Colby Nadeau added six. BUCKFIELD — Buckfield used a 17-8 run to rally back from a four-point deficit and hung on to post a 54-40 win over Temple in boys’ basketball action Wednesday. Ethan Jackson led the Bucks (3-1) with 22 points, 13 rebounds and three blocked shots. Zack Grover chipped in with nine points and 10 rebounds, while Noah Wiley added eight. Temple (1-3) was led by Ilija Ivkovic with 16 points, while Nic Blaisdell added eight. BETHEL — Spruce Mountain came out on top after a shootout with Telstar, 64-49, thanks to 36 points from Haley Turcotte. Turcotte, a junior, drained seven 3-pointers in the victory. Lucy Rothwell scored 31 points to lead Telstar, but it wasn’t enough as the defeat dropped Rebels to 0-4 on the season. The Phoenix’s win brings them even to 2-2. DIXFIELD — Boothbay built a 12-point advantage in the first half before using a 20-6 third-quarter run to pull away to a 51-33 girls’ basketball win over Dirigo on Wednesday. Sydney Meader led the Seahawks (4-0) with 19 points, and Page Brown chipped in with 13. The winless Cougars (0-5) were paced by Ashley Perreault with a solid 10-point effort, while Alyssa McTyre added six. NORTH ANSON — Mountain Valley built a four-point advantage in the first quarter and barely hung on to edge Carrabec, 42-40, in girls’ hoops action Wednesday. Rylee Sevigny led the Falcons (4-0) with 19 points, and her sister Avery contributed nine. The Cobras (2-2) were paced by Bailey Dunphy with a solid 16-point effort, while Olivia Fortier chipped in with eight points. FAIRFIELD — Jadah Adams led a trio of players in double figures on Wednesday as Oxford Hills hustled to a 61-52 girls’ basketball win over Lawrence. Adams led the Vikings with a game-high 20 points. Maighread Laliberte chipped in with 15 and Cecilia Dieterich 10. Megan Curtis led the Bulldogs with 16 points, while Camryn Caldwell and Keagan Alley each added 11. MONMOUTH — Monmouth built a commanding 17-point advantage in the first half and raced away to a 70-30 girls’ hoops rout over Lisbon on Wednesday. The Mustangs (3-1) were paced by Kaeti Butterfield with 15 points, while Tia Day tallied 14 and Julia Johnson added 10. Gianna Russo led the winless Greyhounds (0-4) with a fine 14-point performance, while Charlee Cox and Kiley Merritt each added seven. WISCASSET — After building an insurmountable 27-6 lead in the first frame, Oak Hill kept its offense in high gear and sped away to a 50-23 rout over Wiscasset in girls’ hoops action Wednesday. Desirae Dumais led the Raiders (3-2) with 11 points, while Abigail Nadeau chipped in with eight points and Anna Beach added seven. The winless Wolverines (0-5) were paced by Grace Webber with a nine-point effort, and veteran athlete Maeve Blodgett added five. BUCKFIELD — Olivia Baker scored 12 points for Temple in a 40-23 victory over Buckfield in a girls’ basketball contest Wednesday. Temple jumped to a one-point lead in the first quarter and never looked back. Hannah Shields led Buckfield with 11 points, including two 3-pointers.